Shedding the remains of dull, dry, winter skin is so important when the weather gets warmer, and spring is also the best time of year for the body to detox. Have you booked your own springtime spa treatments yet? Spring is a time not only of new beginnings, but also of purging what’s left behind from the past season. Though internal organs like the kidneys, lungs, liver, and colon—and the lymphatic system—do the majority of the heavy lifting when it comes to removing toxins from the body, we cannot ignore the importance of the skin’s detoxifying role. Toxins are stored in the subcutaneous fat layer below the dermis (the deepest layer of the skin), and the skin attempts to purge toxins via the sudoriferous (sweat) glands. 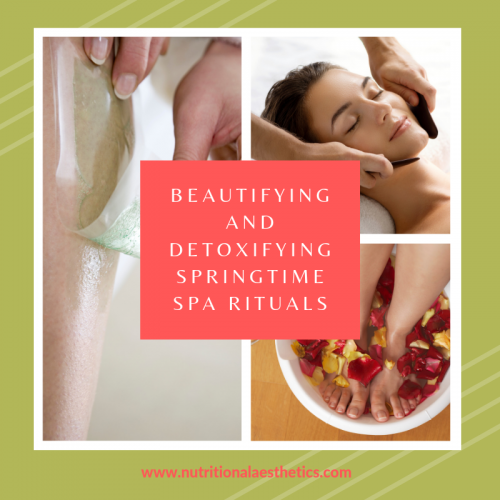 Certain springtime spa treatments, like those mentioned below, can help ensure that those pathways are clear and that the lymph flows, so it’s ideal to incorporate them into your springtime spa visits. Spring is also a popular time for pedicures and hair removal in the spa, since—let’s face it—for many of us it’s the first time of the year when our legs and feet see the light of day! 1.Detox in a far infrared sauna. Far infrared sauna combines the heat and relaxation of a traditional sauna with far-infrared light, known for its anti-inflammatory, detoxifying, and stimulating benefits. While traditional saunas run the risk of dehydrating the skin due to their high temperatures, far-infrared saunas deliver their benefits with a slightly cooler temperature, and have fewer overall contraindications. You’ll still enjoy a good sweat in a far-infrared sauna, but many report coming out feeling rejuvenated and energized, rather than drowsy. Though traditional pedicure chairs with spa-jet basins might feel relaxing, their major downfall is that they are very difficult to keep clean. Even with the use of strong quaternary compounds, it’s common to find that strains of pathogenic bacteria—including MRSA, toxic molds, and other harmful microbes—take up residence in those jets. Look for a salon with large ceramic, glass, or copper pedicure basins sans jets next time you go for a pedicure. Also, it’s safest to ask your cosmetologist or nail technician to use a disposable orange stick or sterilized metal implement to gently push back cuticles, rather than cutting them with cuticle nippers or scissors, due to the risk of infection. For safety, ask for a pumice stone or another type of mechanical exfoliator to remove callouses in lieu of razors or graters. Also, as tempting as it might be, it’s best to avoid shaving or waxing the day of or before a pedicure. Freshly shaven or waxed skin is more susceptible to irritant or allergic skin reactions from leftover disinfectant or products used during your pedicure. 3. Wax gently and naturally. Springtime hair removal should be approached with a super-delicate touch—especially if you haven’t waxed all winter. Many popular waxes are made with potentially irritant petrochemicals, dyes, and synthetic fragrances. Instead, ask for sugaring or sugar wax, which is typically made with a blend of sugar, honey, and lemon. Other options include dye-free and fragrance-free waxes that contain natural ingredients like pine resin and honey rather than petrochemicals. 4. Turn a facial massage into a detox treatment. Instead of a standard, European-style facial massage, look for treatments like Vodder’s Manual Lymphatic Drainage (MLD®), acupressure, marma, or gua sha. These all involve gentle pressure and movement on specific areas of the face to release stagnation or dampness, stimulate blood and lymphatic circulation, encourage subcutaneous fat cells to release toxins, and many other benefits. These treatments also support overall health and wellbeing, as they are applied to the areas of the face that correspond to the internal organs, as practiced in reflexology, Ayurveda, and Traditional Chinese Medicine. The visible result is skin that’s less puffy, with more even coloration and tone, and increased firmness. 5. Try a cupping treatment. Cupping is an ancient Chinese practice that utilizes round glass “cups” with suction, and sometimes moxibustion (the addition of hot embers of mugwort), applied to key areas of the back, shoulders, and nape of the neck. The idea is that the suction creates a pulling force on stagnant blood and lymph to release toxins in the skin below, and encourages the internal organs that lie beneath to release toxins as well. You’ll leave the treatment with large, round circles ranging from pink to dark purple or even blue depending on the depth of the toxins beneath the surface of the skin. These marks generally subside after a couple of days, but may also be an indicator of imbalance in the internal organs depending on the resulting levels of pigmentation. This treatment is performed in holistic spas by aestheticians with specialized training, as well as in acupuncture and Traditional Chinese Medical practices. 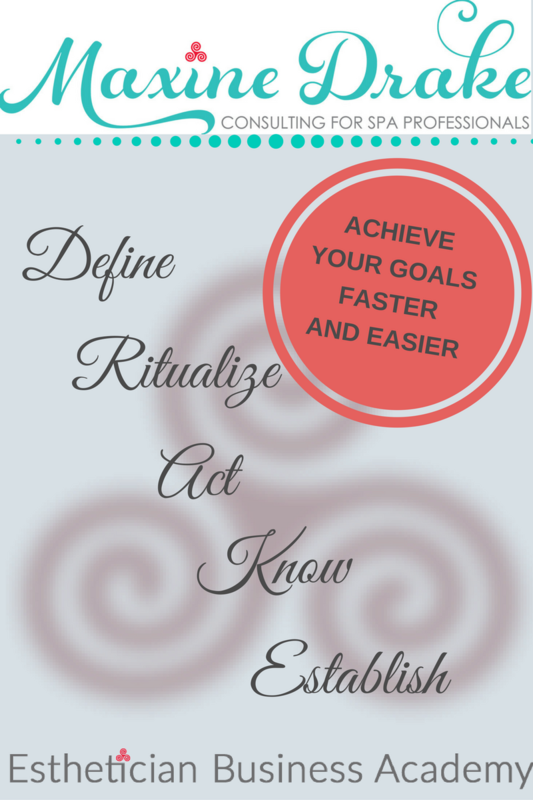 Want more detailed information about spa treatments like these? Our Membership Program includes the NAA File Box, filled with educational resource cards on various integrative skin-health topics. One of our educational pillars is Products, Treatments, and Ingredients–which offers comprehensive, yet concise–information about various professional products, treatments, and ingredients that might be new to you. Click HERE to learn more about the many benefits NAA Members receive, and choose the membership option that’s best for you!